Have you heard of this proverb - ‘When in Rome, be a Roman’? 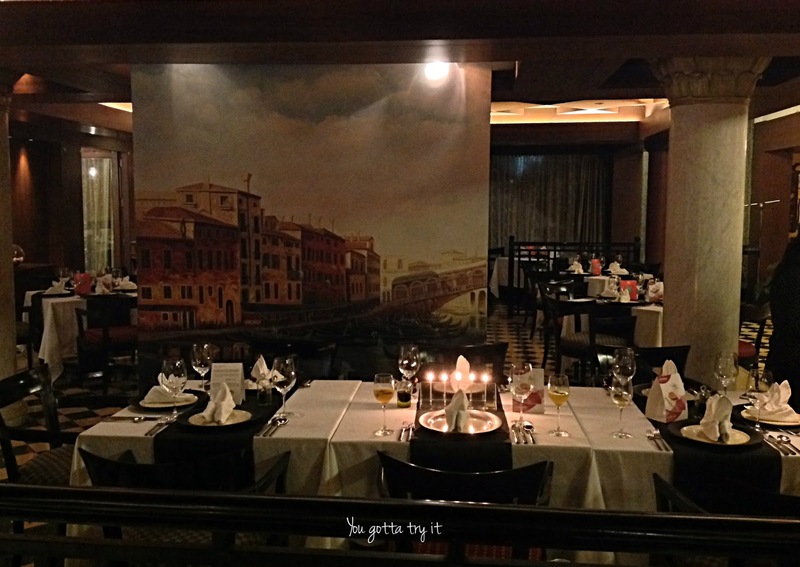 But what if you are not in Rome and still get the feel of Italy in our namma ooru? That would be simply a magnificent experience. 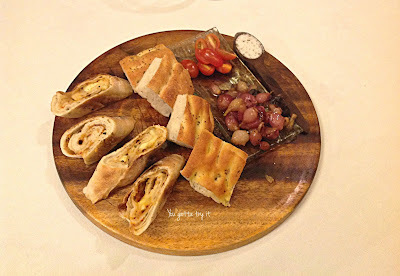 I had such an experience recently at the ongoing ‘Vanille Salée’ at Mezzaluna, Movenpick Hotel & Spa, Bengaluru. 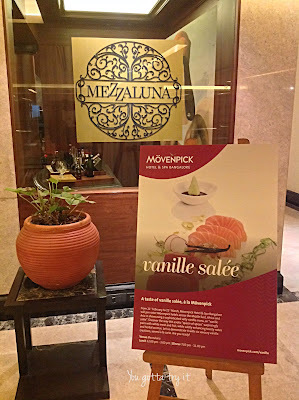 Movenpick Hotels across the Middle East, Africa, and Asia is showcasing a Vanilla special menu and before you would imagine the heavenly desserts made of Vanilla, let me tell you that using this exotic ingredient Vanilla, six savoury dishes will be served on ‘a la carte’ and will be available up to 21st March 2017. 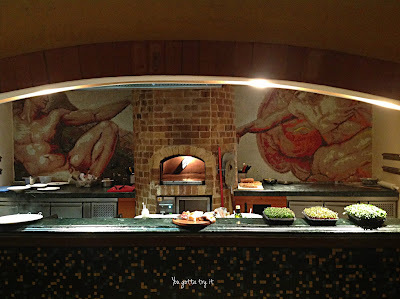 This was my first visit to Mezzaluna and the very first look of this place just blew my mind. 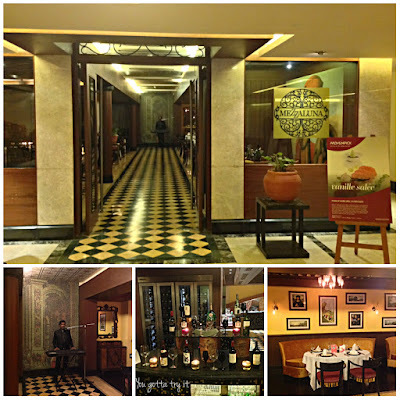 I felt like I was lost in a Venetian Palace with live keyboard music in the background. 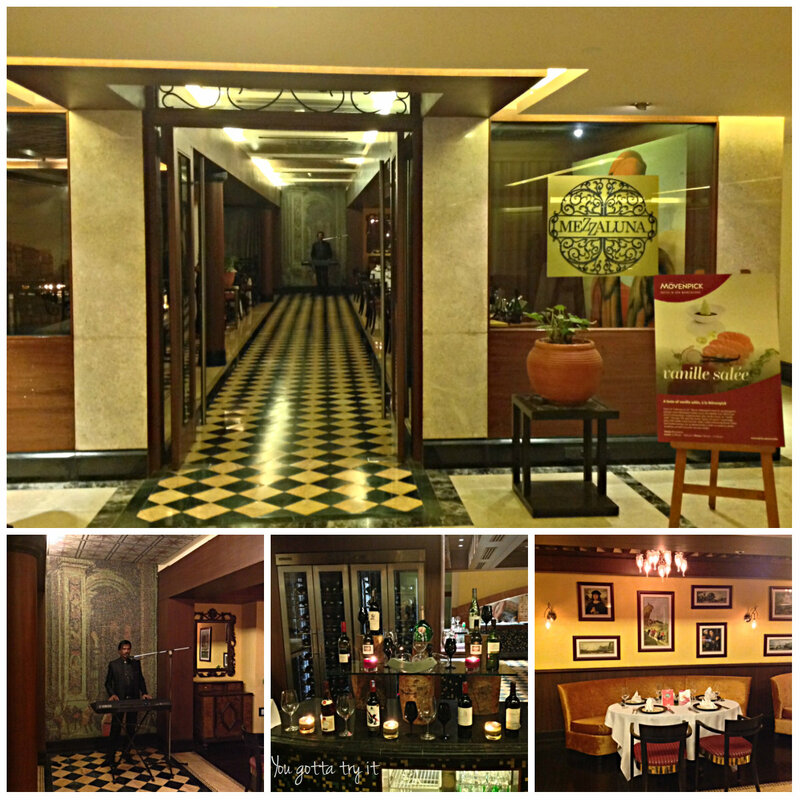 Mezzaluna has such a great ambiance that you will fall in love with this place. 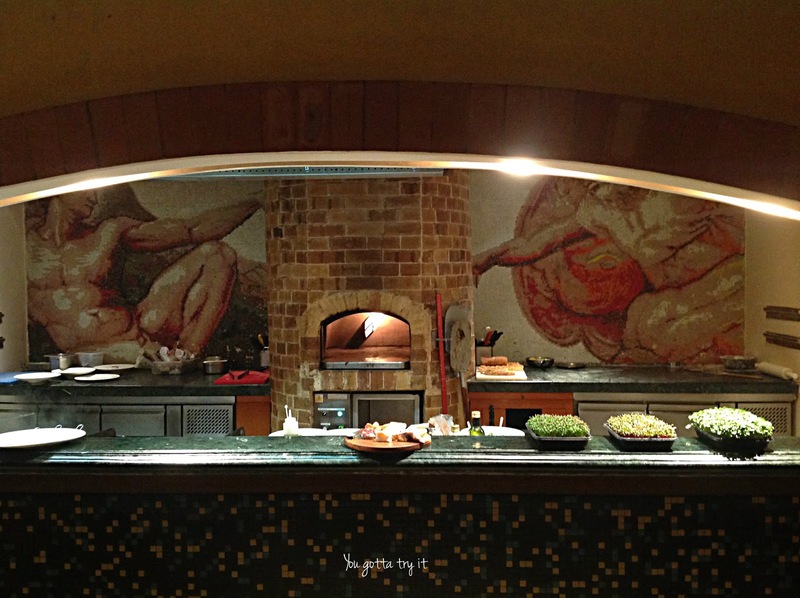 A traditional style open kitchen with firewood oven is another eye-catching sight. 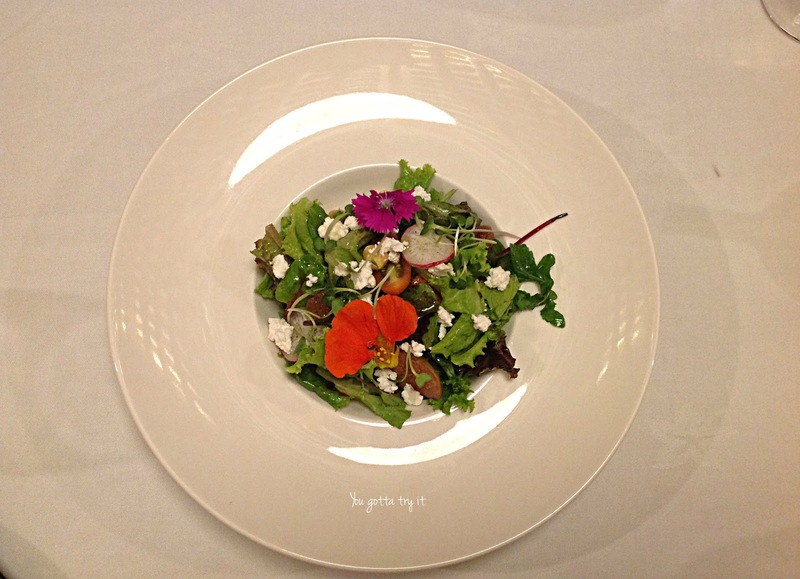 At the kitchen counter, you will also notice a variety of fresh micro greens they’ve planted. Before the wonderfully decorated table just welcomed us, Chef Rayomund Pardiwalla and Chef Gaurav Bathla gave us a glimpse of Vanille Salée. When we were eagerly waiting to taste the Vanille Salée menu, we were happy to hear that this menu is specially crafted with non-vegetarian dishes, mainly with white meat and fish. 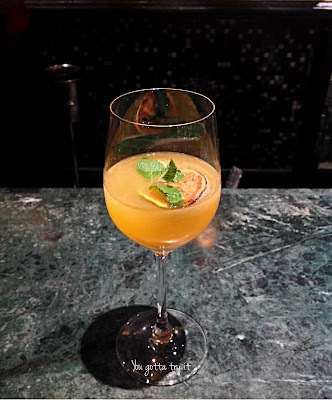 In between the conversation, the wait staff served us a citrusy welcome drink made of Orange and Vanilla along with a bread platter. The Vanille Salée menu is comprised of three savoury Vanilla starters and three savoury Vanilla main courses. The first one for the evening was a ‘White onions Velouté soup’ with caramelized onions and a hint of Vanilla. They’ve used fresh Vanilla pods in every dish. 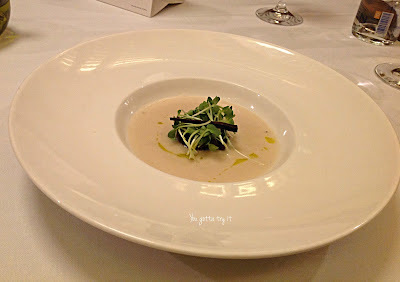 The soup was delicious and the micro greens (fresh thyme) added a crunchy note to the soup. Next on the menu was totally unexpected and interesting – Sashimi of Tuna and Salmon. 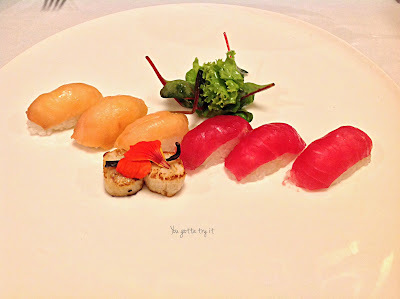 The first time I tried Sashimi was from ‘My Place, Movenpick Hotel & Spa’. The quality of meat/fish they use here is outstanding that I can blindly taste these. The Sashimis had a balance of flavors and a mild flavor from Vanilla made it special. Next on the menu was Goat Cheese and Fig salad with arugula, baby radish, whole hazelnuts and edible flowers. The salad was visually appealing as well as tasty. The strong flavors from Vanilla and Goat cheese enhanced the flavors of other ingredients. For the main course, we had ‘Red snapper fish fillet and endive’. The Pike fish on the menu was replaced with the Red snapper. 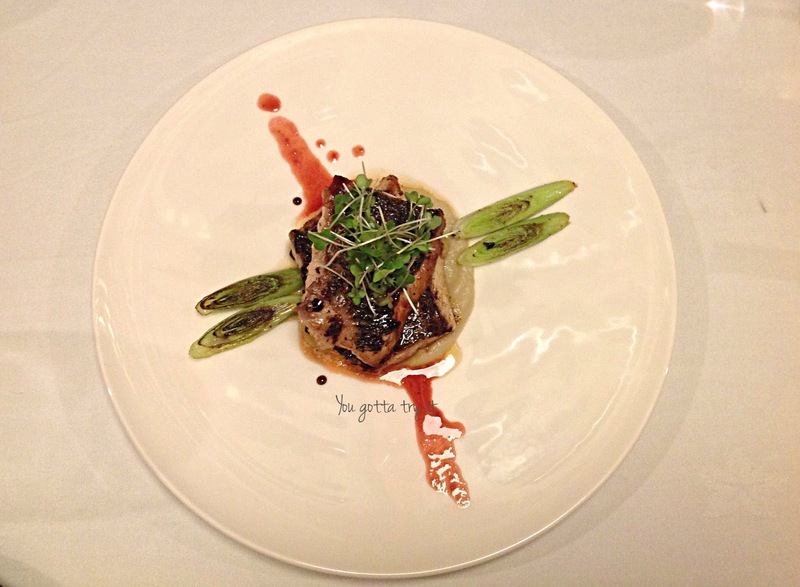 The smokey flavors along with the taste of Vanilla in fish made this perfectly cooked dish just heavenly. 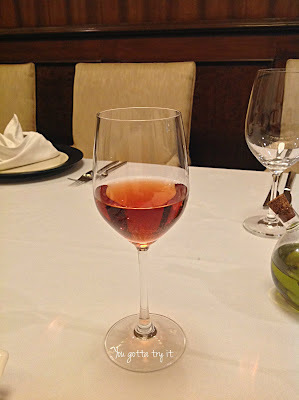 The Rosé wine I had, 'Mateus Rose Portugal Wine' had hints of Strawberry flavor which went well with the main courses. 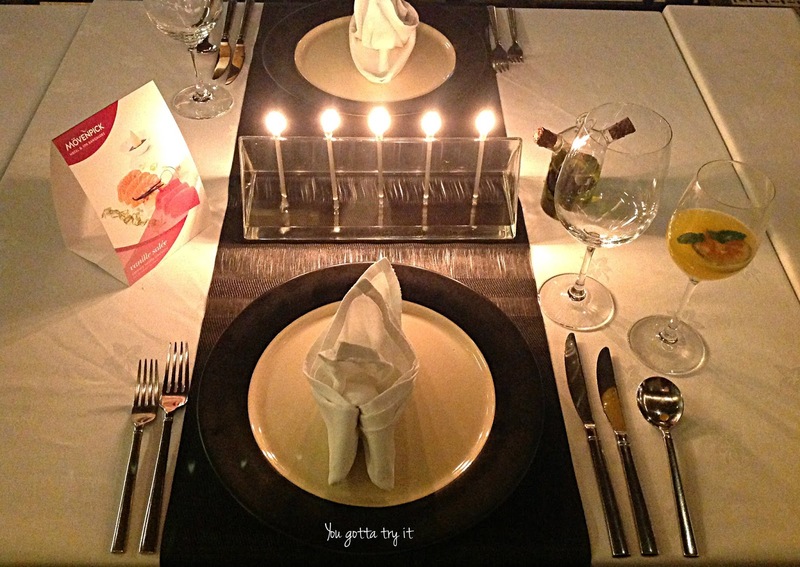 Next, on the menu, we were expecting a Guinea fowl which was replaced with Turkey. Turkey fowl with Melba was an interesting dish but lacked the flavors of Vanilla. 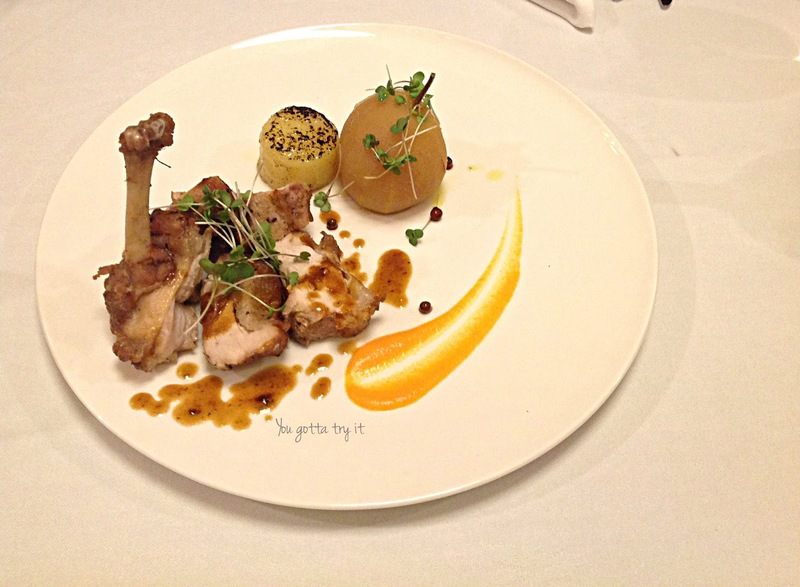 Turkey fowl was cooked to perfection and served with capers, micro greens, and Melba. The quantity of the sauce was inadequate and they served us extra sauce on request. 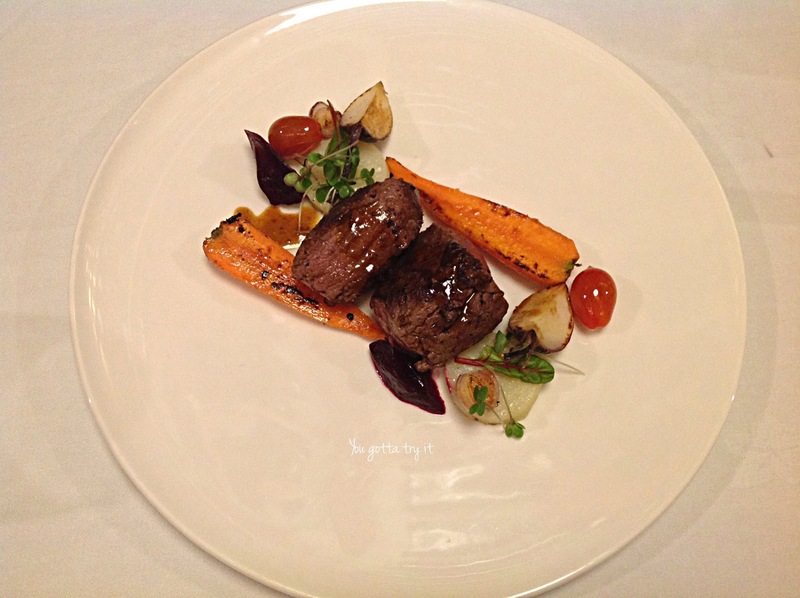 Last but not the least from the menu was a ‘Veal Tenderloin Jardiniére’. The medium well-cooked meat had oozing flavors (including Vanilla) and Jardiniére was just a perfect amalgamation of char-grilled veggies. 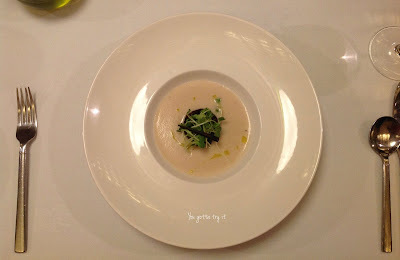 Overall I loved my experience at Vanille Salée. 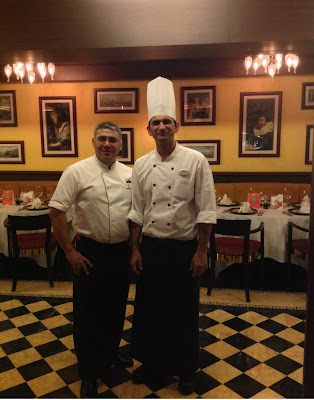 Though this menu is created globally by some other Chef from a different continent, here at Bengaluru Chef Rayomund Pardiwalla and Chef Gaurav Bathla has created a magical dining experience for us. 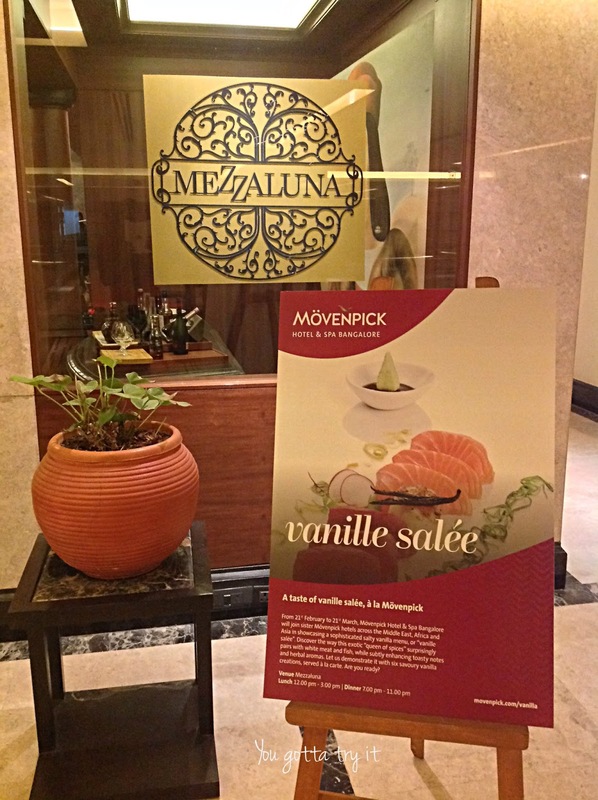 Vanille Salee is on till 21st March across all Movenpick Hotels and if you love to try something different and new, then don’t miss this!